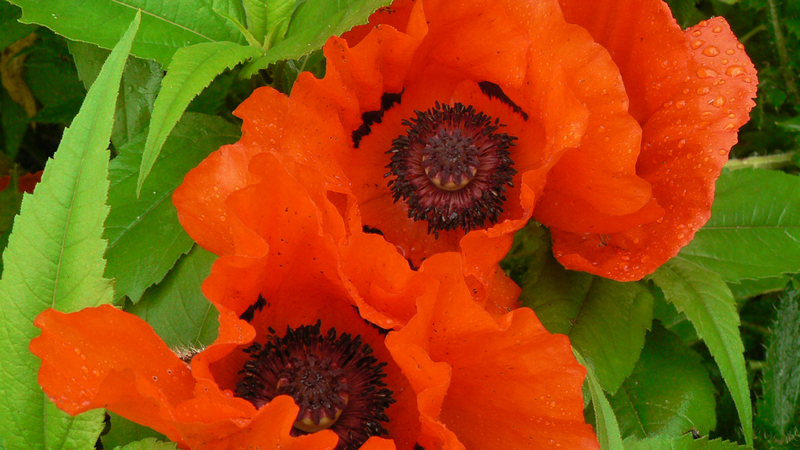 I took this photo of oriental poppies in the summer and thought it would be nice to have a poem or two to go with it. Googling brought up a large number of websites, but most of them were about war poems. I wanted peaceful, wholesome, summery images. Persistence wins: I have found a couple. Wild Poppies by Marion McCready overflows with images. Her poppies are made with ‘henna silks’ and ‘move like an opera’. They wear ‘lipstick dresses’ and are ‘urgent as airmail’. I love the energy of them and the mystery of their lives. James Stephens, not content with a few poppies, wrote In the Poppy Field. before reading that and catching the eerie resemblance I always thought they looked like handfuls of rubies scattered all over the green grass. beautiful pretty like little fairies. Thank you for your comment. I like the idea of rubies in grass – perhaps fairy rubies which vanish if you try to hold them forever.